The locals call it “God’s country”. 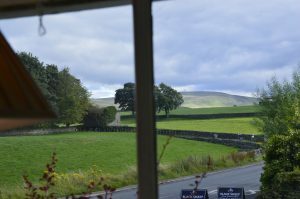 The Yorkshire Dales is unique and enchanting. Remove the cars, you’d swear you are transported back 150 years or more. Life in stone cottages, Manor houses or castles. It’s a countryside as remote and secluded as it comes in England. The landscape is crisscrossed with stone fences that have stood for hundreds of years. The Yorkshire Dales National Park is in the ancient county of Yorkshire. 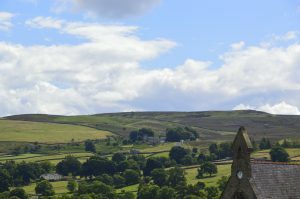 The Dales stretch across the steep glacially rounded Pennines, that form the backbone of England. Sprawling across 680 square miles, the park was created in 1954 to conserve its beauty for the future. Giant domes loom above green valleys and sparkling rivers. Soft peaks and sharp slopes. Dry stone walls, limestone scars, and lofty craigs. Lush pastures, heather moorlands. Among the mountains are dozens of interconnected valleys (dales). Their individual personalities blossom amidst the harmony of this National Park. codes are enforced to maintain the history.Inns, small hotels and bed and breakfasts are the norm. There are also places to camp or park caravans (recreational vehicles). Inns, small hotels and Bed and Breakfast homes are the norm. There are also places to camp or park caravans (recreational vehicles). 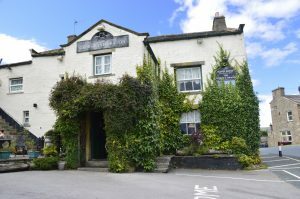 Your inn may be from the 17th, 18th or 19th century, but you will find all the modern facilities within. While there are some exceptions, most rooms are en-suite. Do expect steep stairs and sometimes a low ceiling. Friendliness abounds. A warm greeting and a fabulous stay. Most properties include full breakfast. Inns and hotels also serve meals throughout the day. cycle there are paths for you. Be aware this is farming country. Watch for agricultural vehicles – and animals. This is where they live and work. For hikers and cyclists, you have lots of choices. Choose a day trip from your inn. Or elect to follow one of the circular tours. These tours will take you from one inn to the next. There you will find a comfortable bed and good hot foot to welcome you at the end of the day. Whether you choose a leisurely meander or something more challenging options abound. Books and maps will help you pick your route. Check the tourist information sites if you want to plan in advance. The Three Peaks tour is popular with the more adventurous. Stone bridges cross every stream or river. They were designed for horse-drawn carriages. Approach these with courtesy as they handle one car or truck at a time. In other parts of the world, they might have replaced and modernized to meet the demands of the auto. 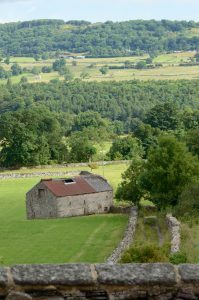 The Dales is about protecting and history. Enjoy, photograph, savor. So what’s to see beyond the spectacular landscape? Rushing rivers, waterfalls, stone walls crisscross every field, sheep, hay, cattle. Visit castles, gardens, museums and stately homes. 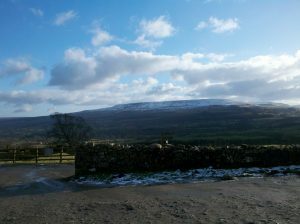 Wensleydale Cheese Factory, artisan candle makers, brewery tours, shops of all manner. Small friendly places where the locals go. 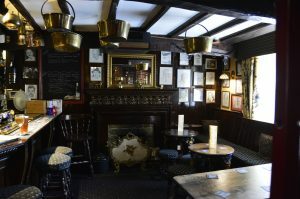 Lots of great tea rooms, pubs, and foods of all sorts. Don’t miss a farmer’s market where the locals go to visit, buy and sell. How about a ride on one of the railway routes that connect the many towns? Choices are many, scenic and nostalgic including steam powered trains. If you are a classical novels buff the place may feel familiar. Charlotte Bronte lived and worked here. Charlotte’s childhood and experiences as a governess were her inspiration. Moors, manors, highlands. 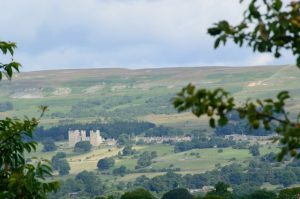 Jane Eyre and many other works live in the Yorkshire Dales. Regardless of the season, the place is pure magic. Choose to see it during peak summer season or visit in the winter when you feel you have it to yourself. Want a cozy getaway spot? Try Middleham. A castle in your backyard, pubs across the square. Choose an inn or a private “to let.” Every morning the race horses clop their way up the cobblestone market square and up onto the hills for their workout. Plan ahead for the summer as the locals flock to the area for holiday. Some of the attractions don’t run year around so it’s good to investigate. Regardless of when you go, you will be greeted warmly and served great hot food often near a cozy fireplace. Locals think it is the best place for great beer. You might be of Celtic ancestry. One of the seven British Nations: England, Wales, Scotland, Ireland, Isle of Mann (Manx), Cornish and Brittany. Or you may just love to have fun. In either case, you can have a great weekend experiencing a local Celtic Festival Highland Games event. When the call goes out in Scotland for the games – people take it seriously. Pride, power and a passion for fun. People gather, eat great Scottish, Irish and American foods, and meet like-minded people. It’s a party, Celtic style. Scottish, Irish, Renaissance all mixed up together just to have fun. There will be lots to taste. Food from the home country. Yummy beefy Scottish pies, scones with berries and cream. Don’t forget the haggis, a Scottish cross between meatloaf and sausage. You’ll also find hamburgers, fish and chips, pulled pork or whatever else local food trucks cook up. Lots of kid friendly choices. invited to get their gear on too. Kilts and all manner of Celtic dress. You’ll see Jacobite to Renaissance, traditional to Victorian and modern twists too. Plaid scarves, tartans, berets, skirts. You will find it all. No costume? The vendors will help you find just the thing. Dancers and pipe bands compete and entertain. 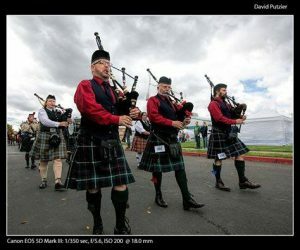 No Highland festival would be complete without the magical sound of bagpipes! Lots of them. But you may also find brass bands and Irish folk music. Listen…there is harp music in the air. you’ve never seen a strong lad throw a heavy stone or flip a heavy pole (Caber), you’ve missed something. You might see a cast iron frying pan toss. Or, the ladies do their own version of the same events the guys do. You might be thirsty after cheering on the athletes, so head over to the beer garden for some libations. What is that dog doing??? It’s a sheep herding demonstration. Clever dog. 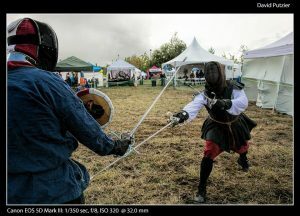 sword fights or jousting. There might be a Scottish cow. Face painting and a kid’s area get everyone involved. At clan booths, you can learn some of the histories of the clans. They will even help you find what clan you might descend from. Not from the British Isles? No worries. They are a friendly group, especially at these gatherings and welcome all. Many events are dog-friendly to well-mannered dogs on leash. Some offer camping or places to park an RV for those traveling to attend. Some offer a classical bagpipe recital. Almost all have a Saturday evening party called a Ceilidh (kay-lee). It’s generally held after the closing of the day event. It’s an evening of live music, piping, drumming, and dancing. The Scottish and Irish love their parties… especially when accompanied by good brews and whisky. To find an event near you, Google is your friend. 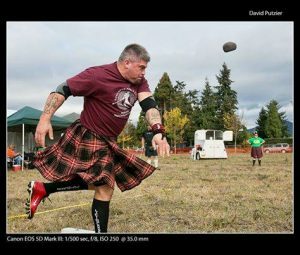 Just “google” highland games or Celtic festivals for your state or region. A list will pop up and you can check out their websites. Want even more fun? Volunteer to help out. They always need an extra set of hands either in the background or at the event. It might get you a free t-shirt or even a free entry.